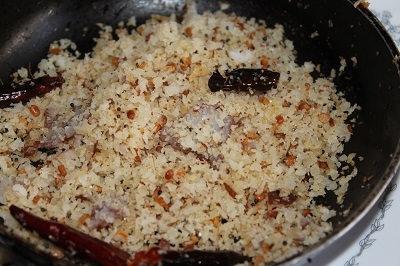 Thengai sadam / coconut rice is a very tasty rice variety from South India. Variety rice are always an interesting change from kootan and upperi. It is easy to prepare and can be served with a simple side dish like potato roast. 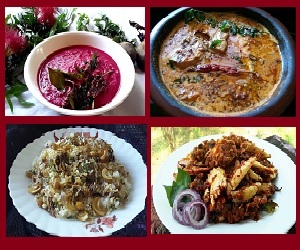 This is one such dish which can be prepared during busy morning hours. The flavor of this rice comes from the roasted coconut and the addition of cashews gives it a nutty crunch. And along with that it tastes great if prepared from freshly grated coconut. 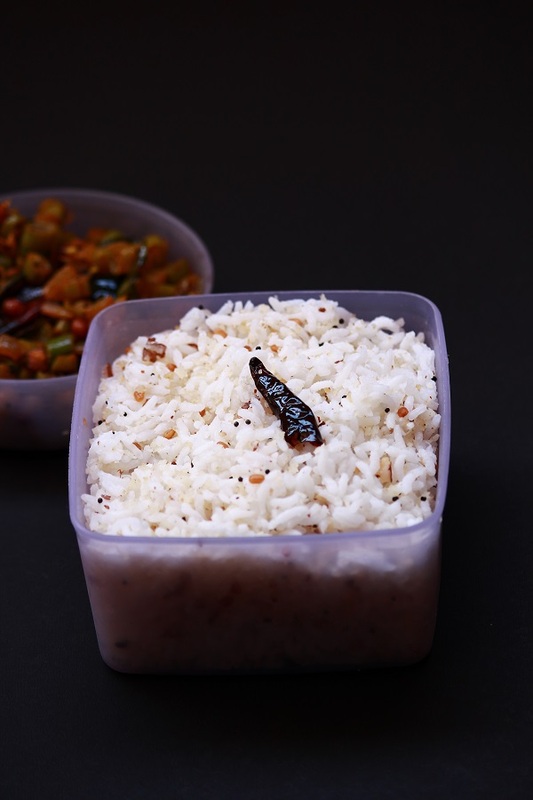 This can be made with raw rice or sona masoori or ponni rice but I would suggest not to use basmati rice as it will not bring out the exact taste. 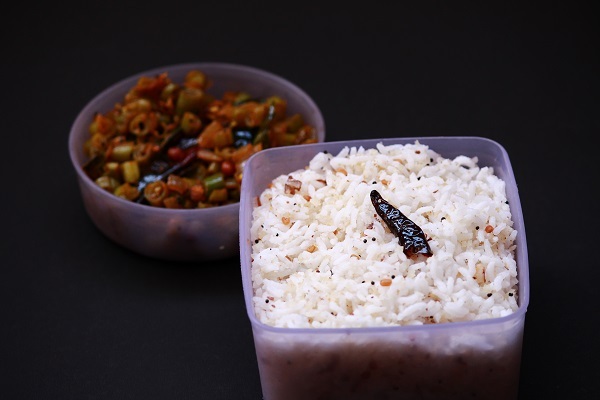 I usually prepare this rice as my daughter loves it can be easily packed for lunch. Now to the recipe..
1. Cook rice and spread it on a plate. Let it cool. 2. In a pan, heat oil, splutter mustard seeds. 3. Next add urud dal, channa dal and roast it well. 4. Now add dry red chilli, green chilli, and curry leaves. Saute for a few minutes. 5. Now add asafoetida powder, salt and scraped coconut. Fry it for some time till it becomes golden brown in color. Check for salt and add more if necessary. 6. 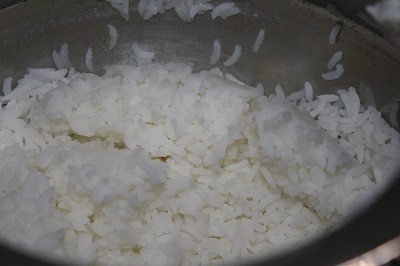 Then add cooked rice and mix it gently.